Mary H. Mellin, 93, of San Antonio, died on February 26, 2019. Born in Prescott, Arizona to William Bliss and Dorothy Travis, she worked for many years as a Registered Nurse. Mary married the late Lt. Colonel James Mellin (USAF Ret.) in 1950. 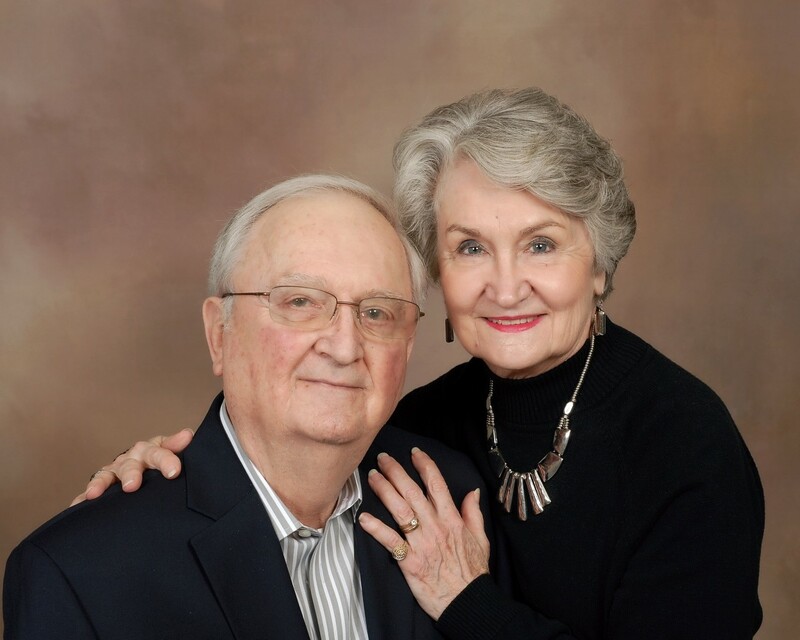 They enjoyed 64 years of marriage, spending many happy years of retirement in Boerne and Shavano Park, TX. Mary has been reunited with her beloved husband. She is survived by children Barbara Ballard (Doug), Susan Rapp, James, Cindy Quicksall, Mark (Julie), and Steve, brother Warren (Ginger), and numerous grandchildren and great-grandchildren. Mary and Jim loved napping on their loveseat, holding hands. As Mom, Bama, and friend, she will be fondly remembered for her unceasing desire to help others and to make sure everyone was well fed. Visitation: Sunday, March 10, 6:00 p.m., followed by Rosary at 7:15 p.m. at Mission Park Funeral Chapel North. Funeral Mass: Monday, March 11, 8:45 a.m. at St. Francis of Assisi Catholic Church. Interment will follow at Fort Sam Houston National Cemetery. In lieu of flowers, the family is requesting donations to Mobile Loaves & Fishes at St. Francis of Assisi Catholic Church. 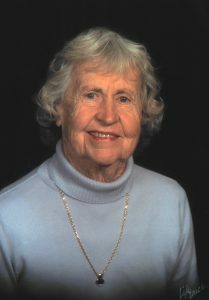 Add a memory and see more at https://www.dignitymemorial.com/obituaries/san-antonio-tx/kathryn-katy–garbus-8185971?utm_source=share_obit&utm_medium=email&utm_campaign=obit_detail&utm_content=view_obit_button. Sarah was born to John and Mildred Malady in Rochester, IN. She found eternal peace, rest, and her eyesight at her home in San Antonio, TX. Sarah grew up in Logansport, IN and became a Certified Operating Room Technician. Working 25+ years at Community Hospital in Indianapolis, IN, she said her main goal was to make her patients calm and comfortable while going into surgery. During this time she also received a Bachelor of Business degree from IUPUI. In 1992 she moved to San Antonio to be closer to her sister, Colleen, and became the OR Business Manager at Santa Rosa Hospital. 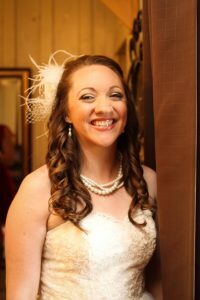 In 2000 she met the love of her life, James Eifler, and they married on May 2, 2009. They camped, traveled and spent summers at their cabin in WI. Sarah had a green thumb, known for her beautiful flower gardens. She loved to cook and bake, especially pies. She was preceded in death by her parents and parents-in-law. Survivors include her husband James, sister Colleen Malady, step-sons James (Jessica), Norman (Karalyn), adored step-grand children Callen, Julien and Ethan Eifler and sisters and brothers-in-law. Mass of Christian Burial will be held at St. Francis of Assisi Catholic Church, 4201 De Zavala Rd., at 10 am on Wednesday, February 27 with visitation prior to Mass. Burial will follow at Holy Cross Cemetery. In lieu of flowers the family requests donations to the Alzheimer’s Research Foundation or Owl Radio, San Antonio Chapter. 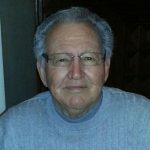 “Henry” Enrique J. Arizpe, 94, passed away in San Antonio on Thursday, February 21, 2019 at his home with his wife and family members by his side. Henry was born October 16, 1924 on a farm in Marion, Texas, one of 12 children. Henry left the farm at an early age to work as a tailor at nearby Randolph Air Force Base. In June of 1948, he married his bride, Teresa, and they made San Antonio their home. They were able to celebrate 70 years of marriage! Over the years, Henry worked various jobs at furniture businesses gaining more and more experience in the furniture upholstery trade. With help from his wife, he started his own business, Henry’s Upholstery, in 1953 and operated it for 50 years. All the while, Henry and Tere were building a real estate portfolio consisting of small-to-medium shopping and office centers, single family homes, and duplexes in the San Antonio, New Braunfels, and Austin, Texas areas. As the patriarch of Arizpe Properties, LTD., Henry and his wife Tere labored hard to achieve their dreams and provide for their family—all this with a grade-school education. Henry always had time for bowling, trail rides, and weekends at the lake teaching many others to fish and water ski. Other weekends were spent at the coast, camping, or on road trips across the state and country. For Henry, there was always time to teach his children and grandchildren how to have fun, but there were also many lessons on how to work. He would take them to work at the shop at 2327 Fresno, or to work on various projects at the properties. Henry was always there to help relatives and neighbors with projects, give advice, or whatever else people needed him for. He would often ask his children about a tenant or how a project was going. Even when he could no longer be hands-on, Henry wanted to give advice and know how things were with each of the many properties that made up the Arizpe Properties, LTD. portfolio. Later, as his health began to fail, Henry spent his free time watching various sports on TV, especially the UTSA Roadrunners football and basketball games, the San Antonio Spurs, and the Dallas Cowboys. Henry was a loving husband, father, grandfather, uncle, and friend. He is greatly missed by Teresa, his loving wife of 70 years. Also carrying on his legacy are his children: Sam and Lisa Arizpe, Sandy Arizpe Gonzalez, Sylvia and Thomas Jones, Sara and Chris Bunch, and Saul and Jodi Arizpe. His grandchildren, great-grandchildren, and great-great-grandchild include: Shelley, Subrina, Savanah, Aydin, William, Nicole, Troy, Eric, Matthew, Mikayla, and Bryson. 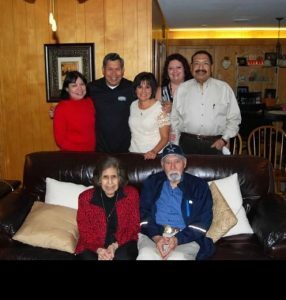 Also missing him are his close friend, Antonio Moreno, whom he considered as family; caregivers Santa Rosales and her husband Armando; his sisters-in-law Alvera D. Arizpe, Esther V. Perez, and Elena V. Lincon; and brother-in-law Rudy Acevedo; along with many nieces, nephews, and friends. Henry was preceded in death by his parents Miguel and Petra (Soto) Arizpe; his brothers and sisters; and his inlaws, Tomas and Rosa Valdez, whom he held in high regard. We ask that you keep our family in your thoughts and prayers as we lay our father to rest. The family will receive friends on Wednesday, February 27, from 5:00-6:30 P.M., at Porter Loring Mortuary North. A rosary will follow at 6:30 P.M. Mass will be held on Thursday, February 28, 2019 at 11:00 A.M. at Our Lady of Perpetual Help Catholic Church, 16075 North Evans Rd. Interment will follow in Our Lady of Perpetual Help Cemetery #2. Donations in his memory may be made to the Building Fund of either Our Lady of Perpetual Help Catholic Church, Selma Texas, or St. Francis of Assisi Catholic Church, San Antonio Texas. We ask that you keep our family in your thoughts and prayers as we lay our father to rest. The family will receive friends on Wednesday, February 27, from 5:00-6:30 pm at Porter Loring Mortuary North. A rosary will follow at 6:30 pm. 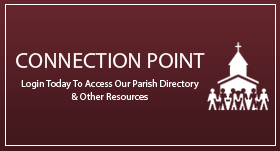 Mass will be held on Thursday, February 28, 2019 at 11:00 am at Our Lady of Perpetual Help Catholic Church, 16075 North Evans Rd. Interment will follow in Our Lady of Perpetual Help Cemetery #2. Donations in his memory may be made to the Building Fund of either Our Lady of Perpetual Help Catholic Church, Selma Texas, or St. Francis of Assisi Catholic Church, San Antonio Texas. 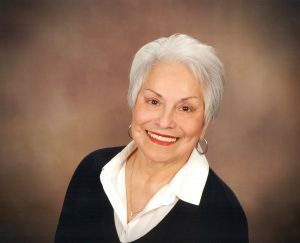 Nola Ann Crow Dum, age 78, went home to be with her Lord and Savior on December 5, 2018, in San Antonio, Texas. Born on April 4, 1940, in Waco, Texas, to father, Carl Jesse Crow, and mother, Mattie Mae Brown Crow. Nola graduated from Richardson High School in 1958 and married Bill Dum on May 5, 1967. She worked for GMAC until 1968, at which point she took on the role of a full-time mother. Nola was a long-time member of St. Francis of Assisi Catholic Church, where she was a volunteer with the Mobile Loaves & Fishes. Nola was dedicated to her family, community, and church. She was also a devoted caregiver to her husband. Nola was preceded in death by her loving parents and many cherished aunts and uncles. Nola is survived by Bill Dum, her beloved husband of 51 years; son, Jeffery Dum; daughter, Amy Dum Scott and her husband, Daryl; her most treasured gifts her grandchildren, Davis and Kendall Scott; brothers, Joe Crow and his wife Pat, Carl Crow and wife Judy, and Marvin Crow; brother-in-law, Mike Dum; sister-in-law, Elizabeth Kennington and husband Ned; many loved nieces and nephews; and cherished cousins and friends. A memorial service will be held at St. Francis of Assisi Catholic Church on January 18 at 10 am with a reception to follow in Henke Hall. 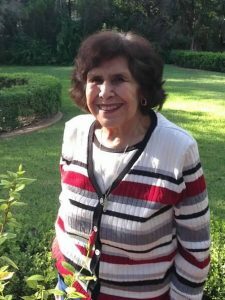 Maria Alvarez went to be with our Lord on October 31, 2018, surrounded by her family. Maria was born on January 13, 1929, to Severa and Encarnacion Quinones. Maria is survived by her husband of 66 years, Thomas Alvarez, daughter Lydia, son John (Norma) and daughter in law Deborah. She was a loving grandmother to her grandchildren John (Ana), Sarah, Alyssa, Stacie, Stephanie. and her great-granddaughters Isabella and Elizabeth. Maria was preceded in death by her parents, brother Miguel Quinones, and son Thom. Maria was a founding member of St. Francis of Assisi where she was past president of the Women’s Council, Eucharistic Minister, and active in the Society of the Rosary. Maria was a loving wife, devoted mother, and doting grandmother. Her greatest joy was spending time with her family, especially her grandchildren. The family would like to thank Brookdale Hospice for their care of Maria. The Angelus Funeral Home Sunday, November 4th, 4:00 pm viewing, 5:00 pm rosary. Funeral Mass will take place Monday, November 5th, 10:00 am at St. Francis of Assisi Catholic Church. Private burial at Fort Sam Houston National Cemetery will be held at a later date. 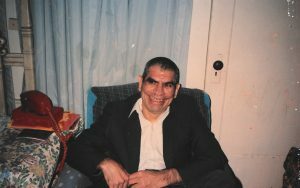 Roberto Hernandez was called home to the Lord on October 22, 2018, at the age of 82 in San Antonio, TX. He was born in El Paso, Texas to Bernardino and Corina Hernandez with his brothers, Jose (Amparo) and Raul (Rosa). He was a graduate from Thomas Jefferson High School in El Paso and UT San Antonio. He retired from the U.S. Air Force with 22 years and Civil Service Customs with 20 years. He is preceded in death by his wife, Mary Magdaline “Cindy.” He is survived by his son, Robert Xavier; daughter-in-law, Alida Angelica; grandson, William Robert; great-granddaughter, Madelynn Daisy, numerous nieces, nephews; and companion, Tina Chavez. The family will receive guests on Monday, October 29, 2018 from 5-7 pm at Porter Loring Mortuary North, followed by the recitation of the Rosary beginning at 7 pm. Mass of Resurrection will be held on Tuesday, October 30, 2018 at 12:30 pm at St. Francis of Assisi Catholic Church on De Zavala Road. Interment to follow at Fort Sam Houston National Cemetery.